Bad utilitarians make for great supervillains. Take Thanos, the purple CGI nemesis the Avengers have to face this year in what feels like the gazillionth Marvel movie. 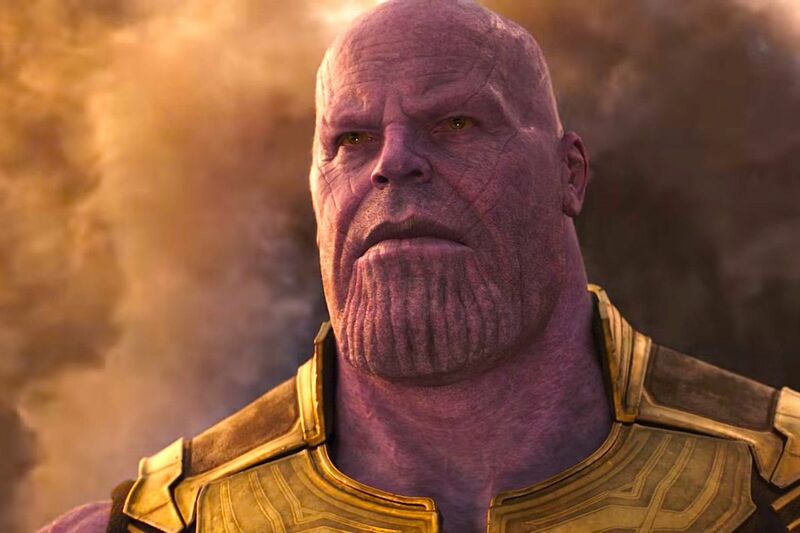 In his sincere desire to reduce suffering, Thanos is trying to kill half of all life in the universe. Like all utilitarian-type supervillains, he has presumably gotten his welfare-maximizing calculus very wrong. But it made me wonder what such a supervillain might look like if their calculus wasn’t so comically dim-witted. To that end, I’m going to discuss a character we can call Vegetarian Thanos. Vegetarian Thanos, we might imagine, is hellbent on reducing the suffering of farm animals. The suffering inflicted on the 60 billion or so farm animals reared on planet Earth each year – or at least the suffering inflicted on the increasing proportion of them that are factory farmed – strikes an increasing number of people as plainly unjustifiable. The pleasure we get out of eating them can in no way outweigh the suffering entailed by intensive meat and dairy production. This has pushed some ethicists to argue for genetically modifying livestock so they feel less or no pain – a thought that for many might sound like the makings of a Black Mirror episode. (Just see some of the comments to this previous post). But I imagine Vegetarian Thanos, with his more heavy-handed approach to matters of justice, would take things in a different direction and look at modifying the humans instead. One way he could do that is by releasing upon humanity an army of ticks. Specifically, the lone star tick. 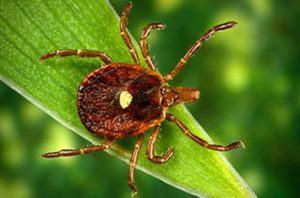 The lone star tick is fairly common in the eastern United States and Mexico. It does not carry the bacteria associated with Lyme disease; instead, one bite from it leads its human victim to develop a troubled relationship with animal flesh. Within 3 to 8 hours of eating meat, those previously bitten by this tick will start to feel quite unwell, with a bad stomach ache and ferocious itching. Which is to say, a bite from a lone star tick leaves humans with a nasty, long-term allergy to meat. This bizarre phenomenon has only recently been recognized. Something about the saliva of the lone star tick triggers the human body to mistake a molecule called “alpha-gal” as a bodily invader that requires an immune response. It’s not entirely clear how or why this happens, but alpha-gal is present in the flesh of all non-primate mammals. True, this would mean those bitten by Vegetarian Thanos’s army of ticks wouldn’t have a problem eating fish, poultry or monkey, but we can ignore that for the sake of this questionable thought experiment. For people who develop alpha-gal allergy, the idea of eating meat again is often terrifying, even if they could possibly work toward being desensitized to alpha-gal. Could Vegetarian Thanos be the good guy here? And, Thanos aside, if you are a vegan/vegetarian for ethical reasons, should you be gathering these ticks and dispersing them among friends, family and passers-by? You could be slightly less evil about it and notify them as soon as they are bitten so they don’t risk an anaphylactic shock by eating any more meat. The idea that the ends justify the means is often central to the story of the villain, but for those convinced that intensive meat production is a profoundly evil process that involves unthinkable and needless daily suffering on a monumental scale, Vegetarian Thanos might look more like a hero. Fanciful as this dubious exercise in fantasy has been, it links with difficult questions about the prospect of biomedical moral enhancement, and the ethics of when it might be justifiable to mandate its use on particular individuals. For instance, if we can safely diminish the destructive dispositions of psychopaths and pedophiles through biomedical means, could we justifiably impose such interventions against their will? To some extent at least, that might be better than locking them up at great expense to themselves and the rest of us who have to pay for things like prisons. Of course, ethically-driven vegans and vegetarians don’t tend to think of meat eaters as on par with pedophiles and psychopaths, except perhaps for the most annoying vegetarians. Still, why limit moral enhancement only to the worst dispositions? One reason might be that, while the vast majority agree that the dispositions of pedophiles and psychopaths are bad, very few in comparison agree that eating meat is bad at all. It seems particularly wrong to impose a minority view on a majority, especially in such a way that so fundamentally violates their autonomy. But then surely ethics is not just a matter of what the majority holds to be right, and surely violating the autonomy of others is at least sometimes justifiable. If the ethics behind vegetarianism is right, and if the needless torment of farm animals is that morally catastrophic and urgent, then perhaps Vegetarian Thanos is right, too. Still, the slippery slope haunts whoever goes down that path. After all, it is not difficult to imagine Homophobic Thanos trying to biomedically convert all the gays, or Pro-Life Thanos adding something to the water that makes having an abortion even more emotionally traumatic than it often already is. This is not meant as facetious: For some cultures, and certainly many subcultures, the greatest threat to humanity is not our disposition for myopic thinking or our capacity for destroying the planet, it is homosexuals and women in short skirts and other things that are alleged to get in the way of eternal, otherworldly paradise. The use of biomedical moral enhancement in that cultural setting would make Black Mirror look like an episode of the Teletubbies. Which is all say, biomedical moral enhancement, and especially its imposition on others, calls for a fairly high degree of certainty and agreement about what the right values and dispositions are. Ironically, the less we agree about what those are as a society, the more likely some will want to (from their perspective) morally enhance the others in order to make them agree. Just like Vegetarian Thanos might try to make us all vegetarians with his army of lone star ticks. I think a really interesting villain would introduce a toxin into the environment that makes people more kind to other people (and maybe animals). The villainy of it would be lost on those who were affected, who are grateful and regret their past rudeness. But then, as the toxin accumulates, everybody gradually starts developing more traits like Susan Wolf’s “loving” moral saint. If this were allowed to go far enough, and then Kirk’s Enterprise crew visited this world, there is some chance that they would be mortified. I disagree – it’s quite arguable that morality and ethics is intrinsically tied to the social consensus, and not some objective ideal.